As long as there has been fire and water, there has been steam. We’re no scientists, but that’s probably a pretty long time, certainly longer than the span of human history. And throughout history, humans have made the most of steam—to power our locomotives, open our pores, and make broccoli more edible. Here then, submitted for your consideration, are some of the greatest moments in steam history. Even in the Bronze Age, people knew that unwinding feels good. According to Ancient World Alive, bathtubs and water basins found by archeologists suggest that the Aegean Minoan civilization had special chambers devoted to hot water soaks as early as 2,400 to 800 B.C.E. The Greeks made use of steaming via natural hot springs, and had public baths by the 6th century B.C. However, we can thank the Romans for truly elevating the experience. Their spa facilities, called thermae, featured changing areas, gyms for exercise, warm rooms and the main attraction, the caldarium—or the steam room—heated by a hypocaust pilae, an underfloor furnace system. Their public baths were very important to their social and political lives, and they were surprisingly advanced, featuring early versions of flush toilets, cold plunge pools and massage services. Wherever Romans went in the world, they brought with them the concept of a public bath with a steam room. 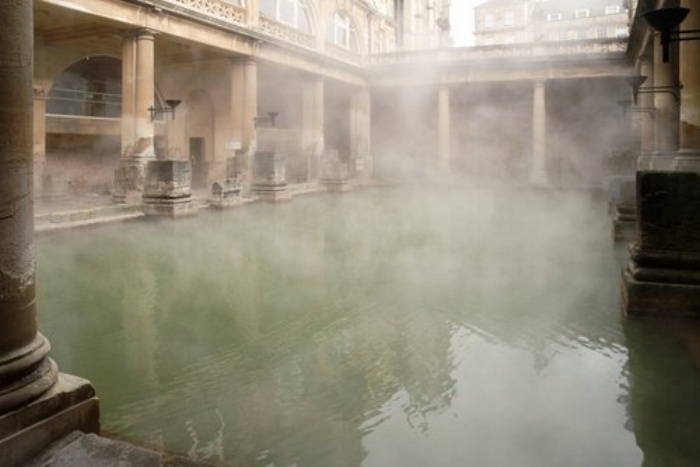 For example, in Bath, England, there’s a remarkably well-preserved Roman-built public bath dating to 70 B.C.E. open to visitors. For more on this era, see Steam Bathing History with the Ancient Greeks and Romans. Legend holds that steamed dumplings were invented in China in 225 C.E., during the era of the Three Kingdoms. The little pockets of dough remain popular today just about anywhere there are hungry humans, with variations on the form appearing in the cuisines of Japan, various African cultures, Central Asia, India, Europe and Latin America. Around 500 C.E., Polynesian seafarers arrived in the islands that would one day become Hawaii. Their culinary legacy includes using an imu, which cooks food underground—via a combo of hot stones, steam and pressure—over the course of many hours. The resulting pork, fish or sweet potatoes are well worth the wait. As they say in the Islands, ‘ono’ (delicious)! In 1453, on a sunny Wednesday just after lunch, the Ottoman Empire conquered the capital of the Eastern Roman Empire, Constantinople, dealing the death blow to the Byzantine Empire. But they didn’t throw the baby out with bath water. Inspired by the concept of Roman public baths, the Ottomans tweaked the concept and created their own public steam rooms—what we now know as hammam. In a hammam, found widely in the Islamic world, the focus is on steam as opposed to soaking. Also, unlike the Greek and Roman tradition of cleansing with cold water first, the Ottomans choose to use cold water for a final, finishing rinse. After which they presumably kick back and put their feet up on a nice ottoman. British engineer Thomas Savery is credited with the invention of the first true steam engine. His invention was first put to use pumping water from coal mines, which we can all agree are nicer places when not filled with water. By 1807, an American engineer, Robert Fulton, had adapted Savery’s technology to transportation, creating the first vessel to use steam power for commercial water transport. The 133-foot-long Clermont operated on the Hudson River, whisking passengers on a route from New York City to Albany, and then whisking them back to New York City when they realized there wasn’t much to do in Albany. In this year, inventor and steam enthusiast Arthur Sussman founded Automatic-Steam Products, bringing to market the world’s first industrial steam iron for garment factories. In the decades that followed, he created a slew of other advances in the steam industry. The company he founded became Mr.Steam, the largest manufacturer of steam boilers in the world, still based in Queens, New York. Just as Americans were embracing rock-n-roll, sideburns, and the conical brassiere, the steam facial became a trend, too. Steaming hydrates and softens the skin, relaxes the body, and may help reduce symptoms of cold and allergies. Once it hit spa menus around the country, it never left. In 1954, a musical number called “Steam Heat” debuted in the Broadway show The Pajama Game, choreographed by Bob “jazz hands” Fosse. In the song, a radiator’s hiss becomes a siren’s call: “I got clang, clang, pssst, steam heat, but I need your love to keep away the cold…” The song would go on to be recorded by artists as diverse as Patti Page, Ella Fitzgerald and The Pointer Sisters. John Fogerty leaves a good job in the city, working for the man every night and day. Despite his newfound lack of employment, Fogerty never loses one minute of sleep worrying about the way things might have been. His sense of calm can be attributed to the fact that Proud Mary keeps rollin’, rollin’, rollin’ on the river. Years later, Tina Turner corroborates Fogerty’s experiences, and does it in high heels. In the neon-hued 1980s, the collars popped, the jeans were inexplicably tortured in acid washes, and the hair stood higher on women’s heads than nature intended. This type of hairstyle required a special tool: steam hot rollers. How did these gadgets work? You’d simply add a little water to a reservoir in the base of the curler unit, power it up, and clip the hot rollers to your hair. Spray on the thick layer of Aqua Net and you’re off to a screening of The Breakfast Club. In 2017’s “Twin Peaks: The Return,” David Bowie’s character, F.B.I. agent Phillip Jeffries, reprised his role in non-human form. The recently deceased Bowie turned up midway through the season as some sort of industrial boiler, billowing steam and cryptic wisdom about the multi-dimensional universe. David Lynch fans—already confused and delighted by the director’s work—just about blew their top. Steam is a phenomenon as fundamental as physics—equally capable of delivering great bursts of power or a soothing, diaphanous caresse. It appears, one way or another, in nearly every aspect of our lives. And if you’re in the mood to further contemplate the life-enhancing properties of steam, we suggest doing so in a nice steam bath, with a dash of eucalyptus.